Working (and living) in an environment of full trust. I am very fortunate that I get to be part of building a business with my husband and a team of people who share our values and passion for what we do. When you have a foundation of trust it is easier to take risks and push yourself even further to get the best results. At the end of the day, not only do we benefit from having a fully empowered and energized team, but our clients and partners benefit by getting the best of us every time. Fully absorbing a moment. Soaking in the warmth of the sun, taking a moment to breathe in the fresh air, enjoying a glass of wine or good cup of tea, feeling the music and dancing in the kitchen with my kids, laughing with my sisters and friends who love me, enjoying a quiet night at home by the fireplace while my husband, John, plays guitar in the living room, or being his biggest groupie when he is on a stage. John and I love creating experiences for others and ourselves – both simple and more extravagant – and then we enjoy the moments together. It truly is a beautiful feeling. To only pick one would do a disservice to all the people I admire and who have influenced and continue to influence me to be who I have become today. (Although some of them may not want to take credit for that!) So to talk about the biggest role models and influences in my life, I would have to include my parents, who by their actions taught me about humour, generosity, partnership, integrity, work ethic, values, grace, and faith; my older siblings, who always gave me someone to look up to and aspire to be like; my in-laws who model how fun and big life is beyond work; colleagues and bosses who mentored me, challenged me and believed in my abilities enough to keep pushing me to higher levels; my friends, who always make me feel like I am way more impressive than I am; my kids, who are my biggest reason to model the values and character I desire for them; and my biggest role model and inspiration is my husband who is my partner in business and life, and I can only hope to have some of his goodness, likeability, wisdom, knowledge and good humour (minus the ‘bad dad’ jokes) rub off on me! Although there are many accomplished women that I admire, I don’t really have any favourite cultural heroines. There are so many amazing women that surround us every day, so I’d rather be inspired by and focus on the creative, smart, funny, brave, accomplished women that I meet and learn from in my daily life. 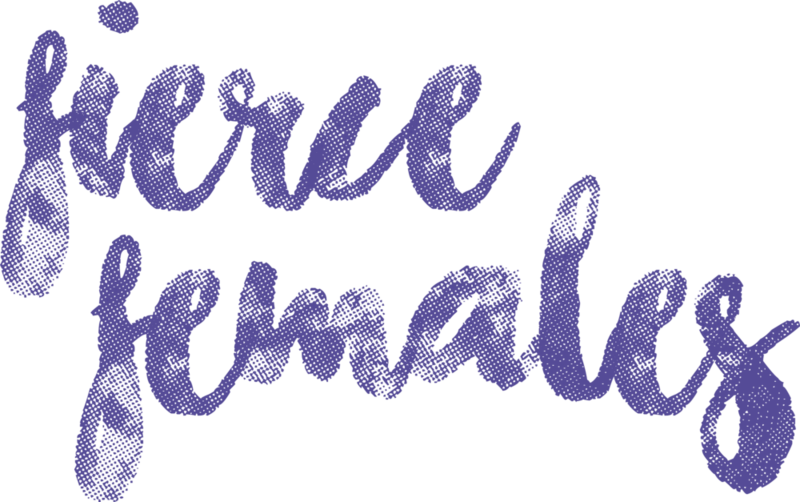 Like the fierce females you feature! You know that person in your head that you constantly compare yourself to? The “perfect person” you think you should be and then beat yourself up when you fall short? I’d like to be her for a day, then realize that it is not all it’s cracked up to be and go back to happily living my current reality with all my ‘flaws’. To make sure the people around me know how much they mean to me and live a full life of laughter, growth, gratitude, honour, experiences, depth and authenticity…at work and at home. When I was in high school, my fastball coach gave me the advice that I should always strive to surround myself with players that are better than me, so that I am always pushed to play at a higher level and raise my game. Although I never made a career of playing ball, I loved that message. So I would say that my biggest accomplishment is that I have spent my life and career following his advice, and have surrounded myself well with really amazing people who support me, cheer me on, challenge me and lift me higher. I have a pretty awesome ‘’village’. *B. May's note: it was Sarah Silverman. When I was 12 years old, I had a junior high school Home Ec teacher approach me in front of my friends in the hallway, pinch my side and announce to everyone that I was getting “chubby”. It was the first time that I had ever thought about or felt shame and embarrassment about my appearance and it totally changed the conversation in my head whenever I looked in the mirror after that. What would I tell my 12-year-old self? I would have a million things I would want to say to her now after years of learning, growing, evolving and changing. But to choose just one message it would be: to not let people’s careless, thoughtless comments define what she chooses to believe about herself. That real truth is not packaged in a mean spirit, and that it should not be given any value when delivered in that way. That it should be the teacher who should be embarrassed and ashamed…and not her. I love being a female. Including the stereotypical parts like shopping, shoes, spa days, jewelry, dressing up; and the beautiful parts like being a wife, mother, daughter, and sister, but I don’t classify myself as a feminist. Like other fierce females that you have interviewed, I would describe myself as an equalist. I want to be part of building and fostering a world where everyone is treated with equal consideration and respect, regardless of gender, age, race, and sexual orientation. In work, I prefer to view my contribution and value in business as ‘genderless’. That’s why I am hesitant to celebrate myself (or others) as a successful ‘female leader’. I would rather be included, recognized and valued for what I offer in an equal pool of peers, regardless of gender. Period. At the same time, I recognize and am grateful to the women of the feminist movement who fought to get us to today. I have benefited from their courage and I will continue the fight to make this world a better place for my daughter…and my son.